The history of rock music has long shown that it is a harbinger of counter-cultural influences; it thrives upon its deviation from the norm. Rock music, in all of its various iterations and incarnations, has continuously proven that regardless of background, it can be a ubiquitous source of emotive rawness not expressed anywhere else. Los Angeles-based Miss Jupiter, the psychedelic rock brainchild of Michelle Rose, seeks to expressly represent this ideal. Miss Jupiter feels like every self-aware psych-rock outfit you know and love from the genre’s prime time, but feels more accessible to today’s modern audiences. Her most recent single, “Black & White,” for which Atwood Magazine is proudly premiering the music video today, allows for her interesting and notably conscientious sound to not only feel palatable to even a casual listener, but also still manages to feel wholly unique in its own niche way. “Black & White” taps into the profound vulnerability commonly associated with classic rock music, while maintaining a 21st-century charm as well. “Black & White,” and its accompanying video, show Miss Jupiter’s darker side, and the interesting visuals in the video are meant to represent the duality of one’s innermost thoughts and feelings. The track itself is about interacting with one’s dark side, and in it Miss Jupiter recants the moment she was forced to balance out the extremes of her personality, a topic to which many can relate. We are always seeking for that perfectly balanced medium of our best self, and often fight within ourselves to keep the peace. The video, which sees Miss Jupiter in contrast with herself throughout, serves as a tangible, visible metaphor for the constant internal battle one feels to achieve this. The whole of “Black & White” sounds very traditionally rock, as Miss Jupiter’s clear and vibrant vocals are overlaid with punchy instrumentals. A wailing guitar riff penetrates the three-minute track as sharp drum beats allow for Miss Jupiter to show off her distinct, rich vocal prowess, and the song manages to grip its audience to the end. It is entrancing, almost hypnotizing, and gives the audience an opportunity to acutely tap into their innermost thoughts and feelings as well. Miss Jupiter’s hauntingly enrapturing sounds have successfully allowed for her to begin carving out a unique and otherwise unoccupied space within music; she is bringing psych-rock back to the fore, and reworking it for present audiences’ enjoyment. There is a palpable organic quality about Miss Jupiter, and her intrinsic knack for poignant realism. Her music is definitively matchless, yet somehow feels comfortably familiar: this is what makes her shine. It feels accessible, but not easy; it feels raw, but not ungenuine. 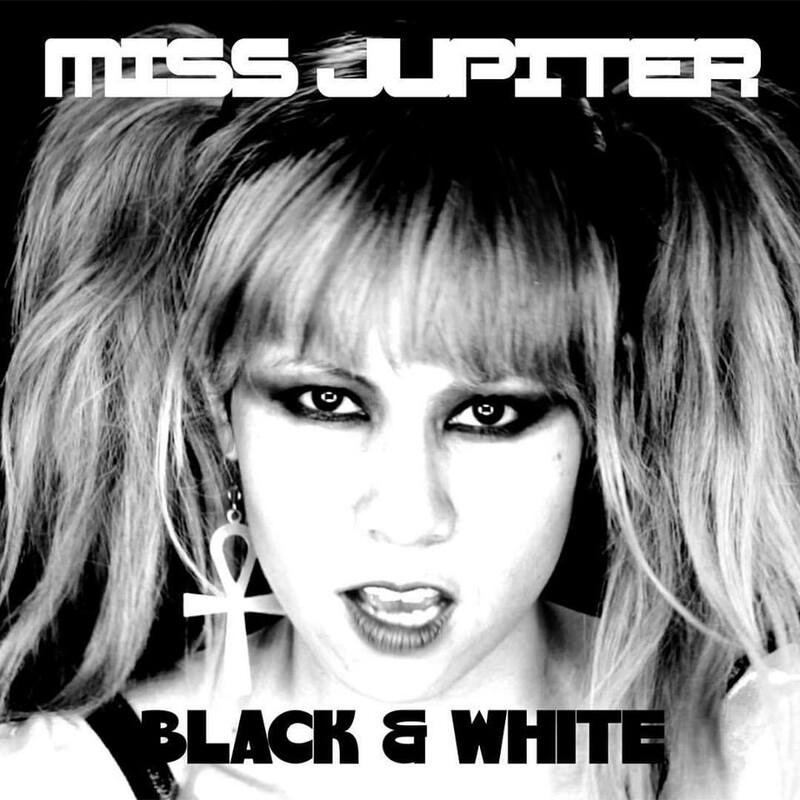 “Black & White” presents Miss Jupiter in an open and affecting way, allowing for audiences to feel a deep connectivity with the artist and her art. The track itself is emotionally-driven and intrinsically relatable, while the accompanying visual provides a tangible expression of these evocative feelings. Miss Jupiter has managed to show that it is fine to be unashamedly and willingly raw, and that expressing one’s raw humanity is a healthy part of the human condition. Miss Jupiter has made rock music feel definitively cool again, and not in the pseudo-emotive, indie-rock way — it feels authentically and pointedly rock n’ roll. Watch Miss Jupiter’s enrapturing video for “Black & White” below, exclusively on Atwood Magazine!